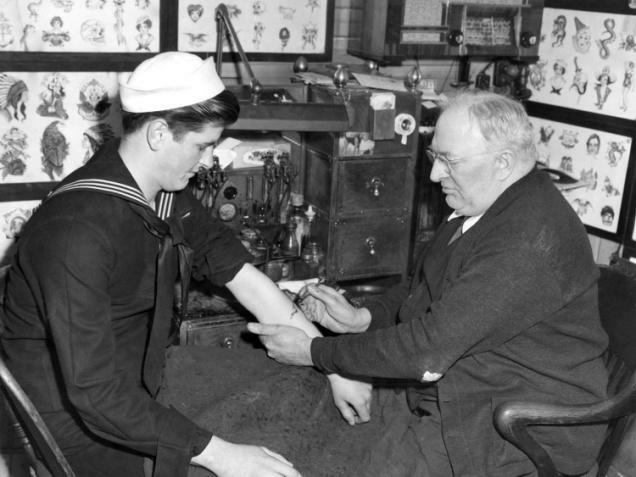 Taurus’s are solid and known for their bull like strength (and stubbornness). This bull shows all of that! 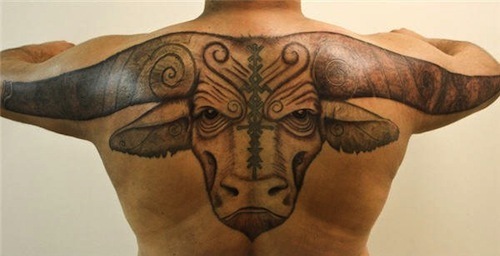 This immense bull tattoo is in your face and looking straight at you! 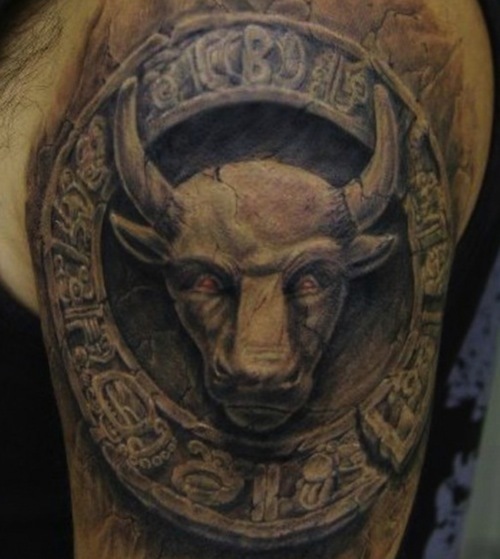 There is no messing with that bull! 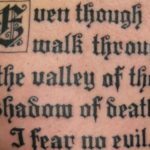 Another strong, bold Taurus tattoo. 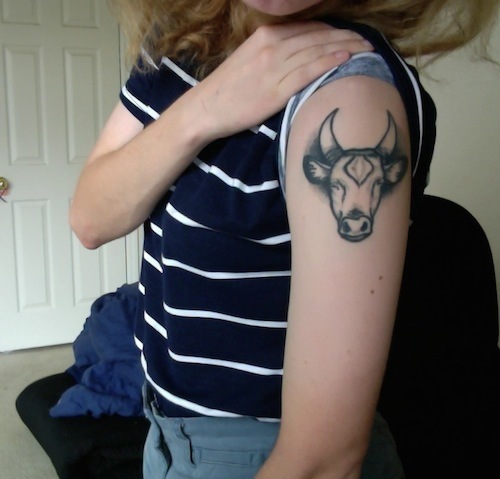 Taurus’s might be bulls, but they don’t take no bull! 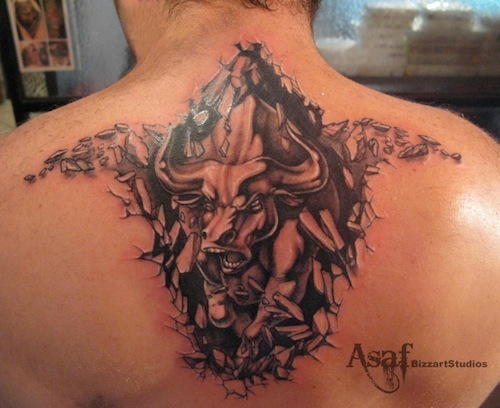 Highly detailed and intense, this bull looks like it’s about to attack. 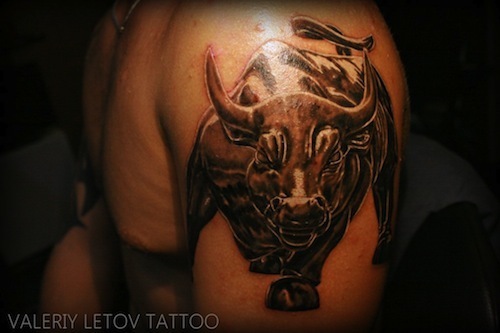 A cute and simple bull for this Taurus, but still gets that amazing quality of strength across. 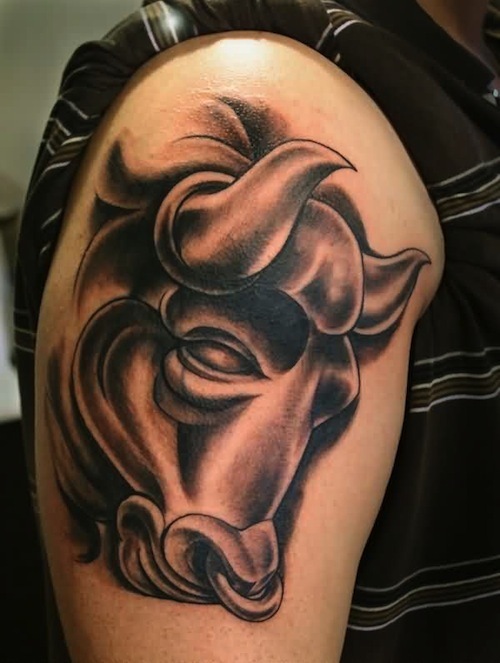 This 3 dimensional bull looks like it is popping right off of the wearer’s skin, and its eyes are staring into the darkness of your soul. 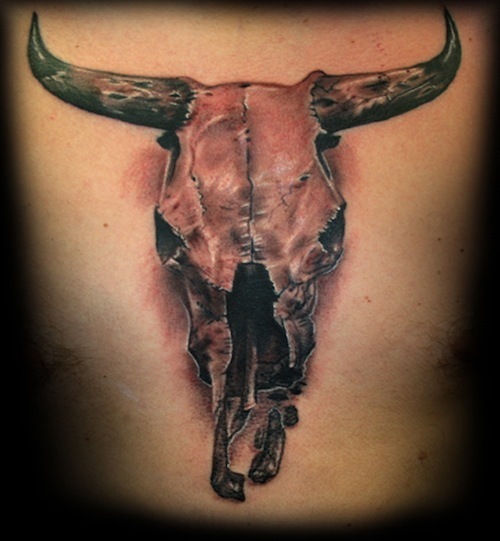 This Taurus tattoo is a true piece of art, and is breaking through the wearer’s back, creating a secondary bullhead shape on the upper back. 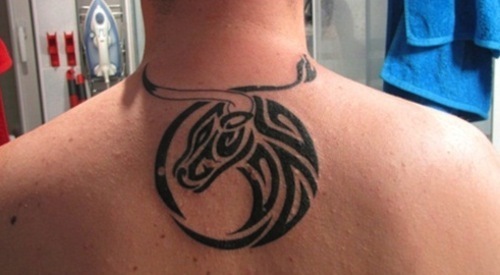 More simplified with just black ink, this bull tribal tattoo is perfect for this Taurus and tattoo enthusiast. 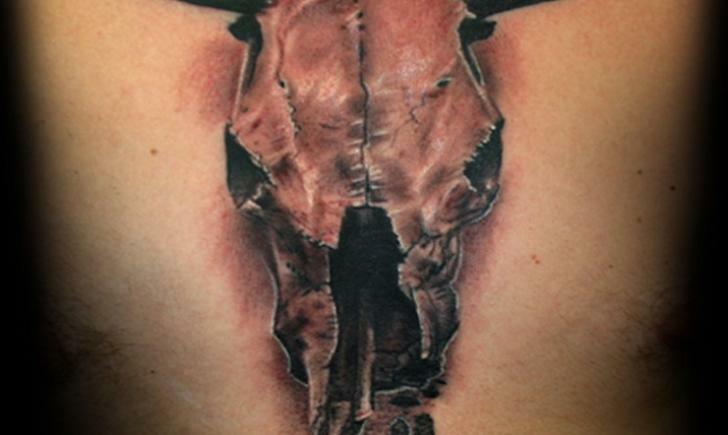 The skull of a bull is epic in its quiet state. 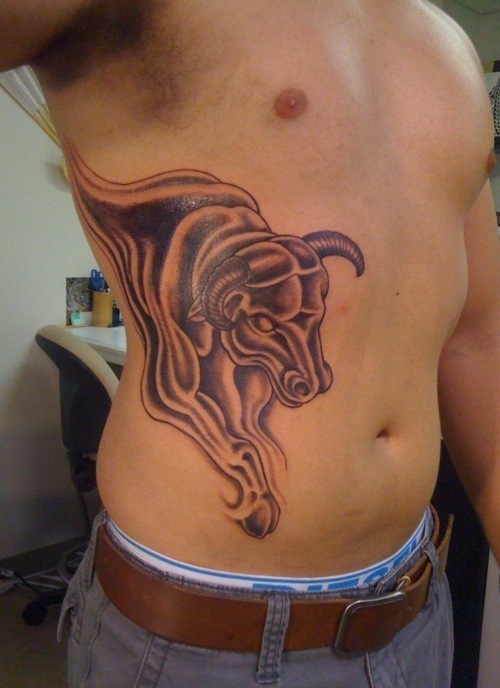 A beautiful Taurus tattoo to end this list.